Desert is rarely used as inspiration for a window display since its connection with very hot and dry atmosphere that might be too much even for a summer season. 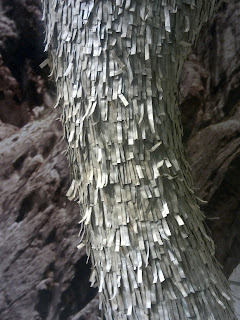 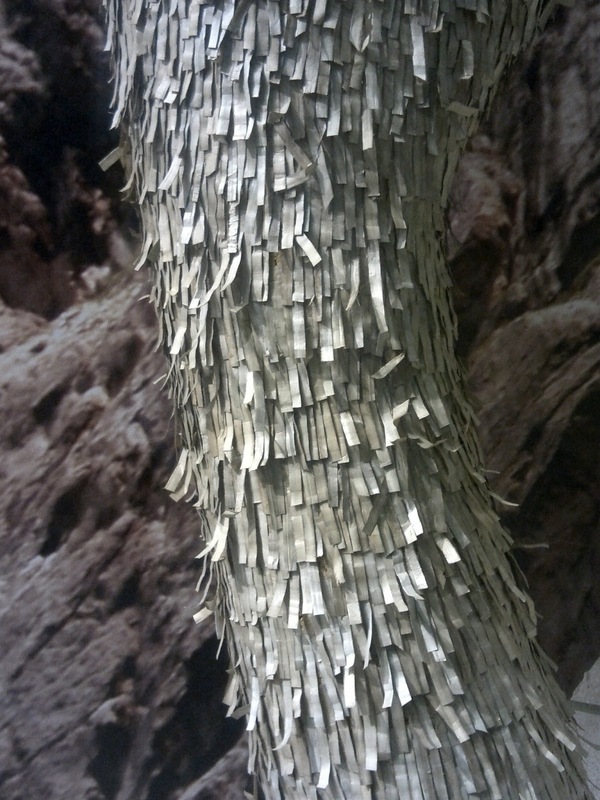 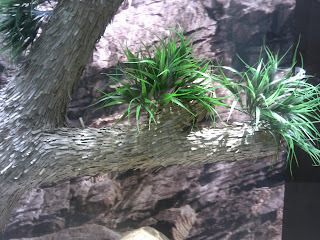 However, Raoul use this nature theme for its Fall 2012 display. 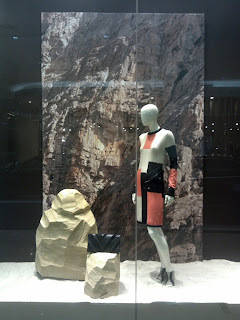 There is a giant photograph of a white rocky mountain act as a backdrop for the window. 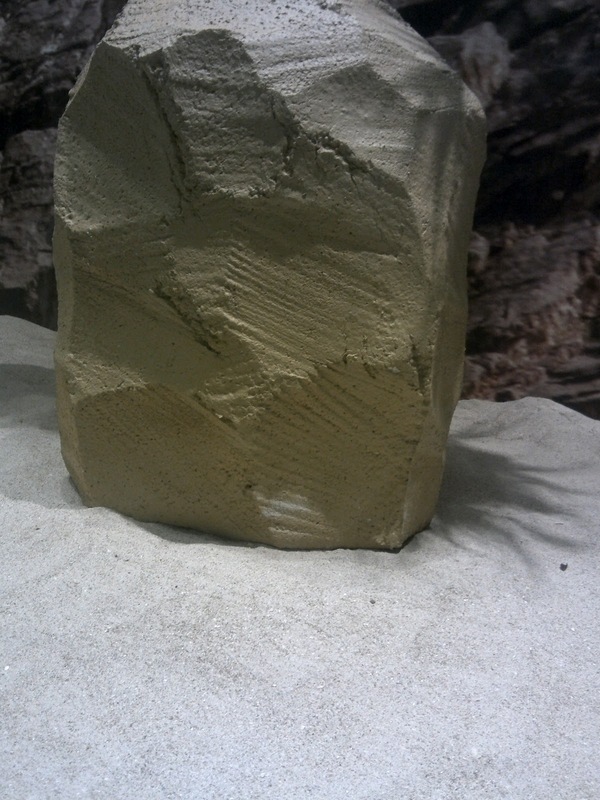 While tons of 'desert' sands flooded the ground. 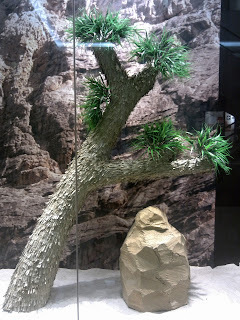 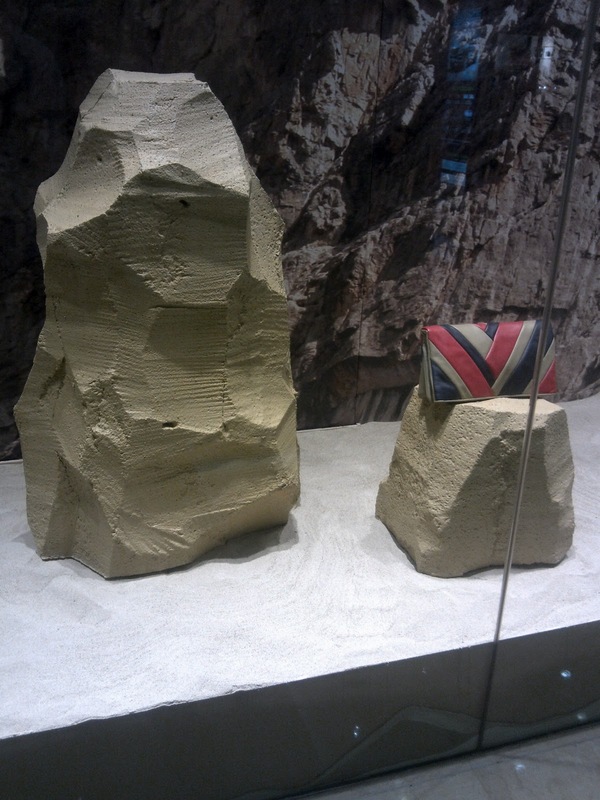 To decorate this monochrome look, a desert plant, has a wood like date tree but leaves like usual land vegetal, grows near a big stone that also exist in other corner of the display. 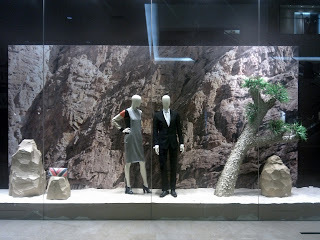 Salute for the creator of this display since its so rare idea yet also very vivid.